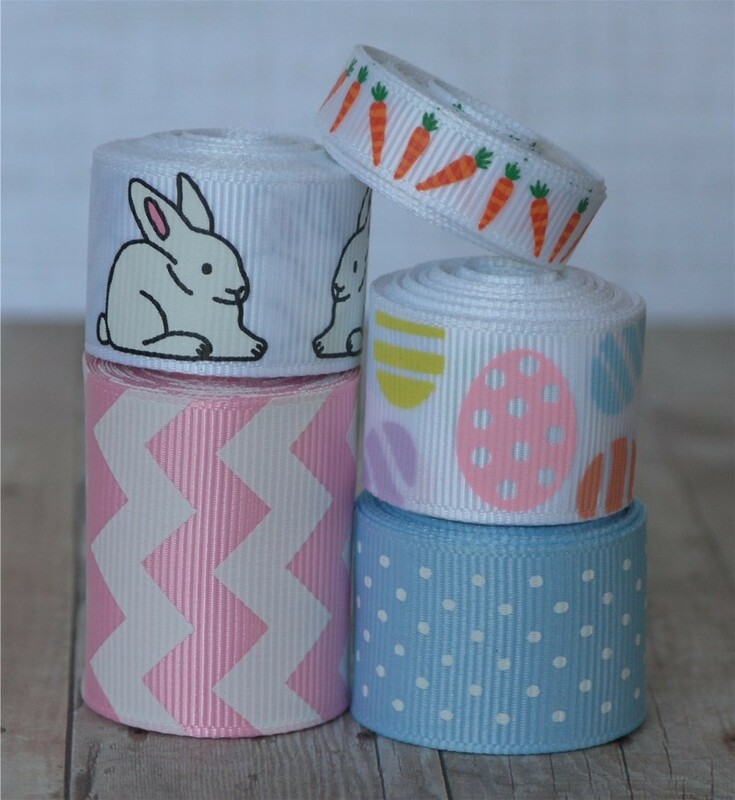 10 yards Pastel Bunny Easter Ribbon Mix - Mixes, etc. Each lot pictured is a total of 10 yards. Every effort will be made to send EXACTLY what is shown in the photo but in a rare circumstance, one of the prints may be out of stock and another, equally fabulous print will be substituted. The subbed ribbon will be the same width and color as the unavailable one in the photo. 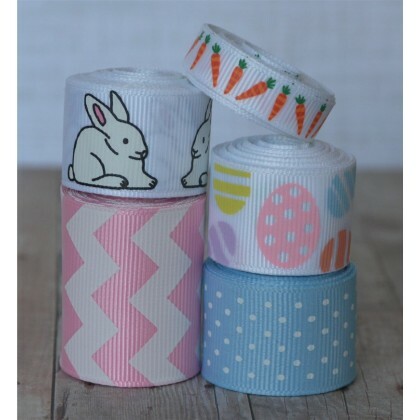 Ribbons are printed on one side and reverse to corresponding solid ribbon. Hand washing is recommended to keep them bright, low iron on opposite side. They may show wear from heavy handling as any print would. 100% Polyester. Each quantity of '1' mix is 10 total yards. Multiple quantities will be cut in a continuous piece and rolled together wherever possible.